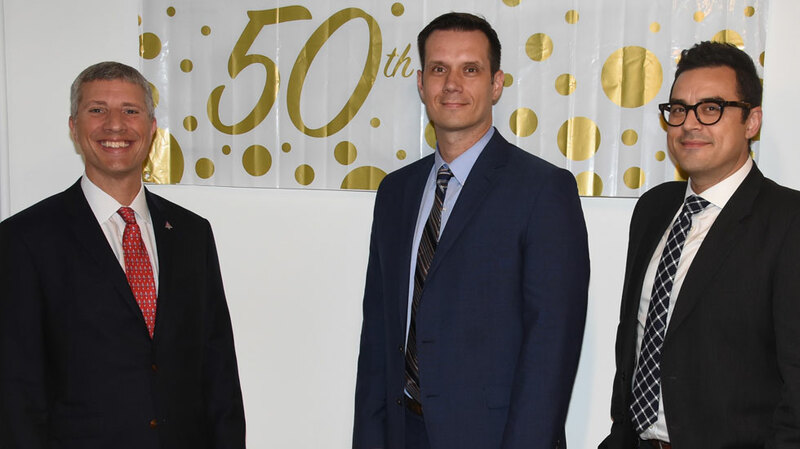 Jerome Haims Realty, Inc., a leading, full service real estate appraisal and consulting firm, marked the 50th anniversary of its founding with a celebratory special event held at their Park Avenue South offices. With attendees including employees, appraisal industry colleagues and clients from institutions, law firms, corporations, government agencies and private industry, the event was presided over by firm president Eric Haims, MAI, AI-GRS. Eric Haims’s father, Jerome Haims, who attended the event, founded the eponymous firm in July 1968. The two have worked together for over 25 years providing a full spectrum of services at the highest levels of knowledge, experience and integrity in the appraisal profession.